Fort Dodge Regional Airport Announces Direct Flight From Fort dodge to Nashville! 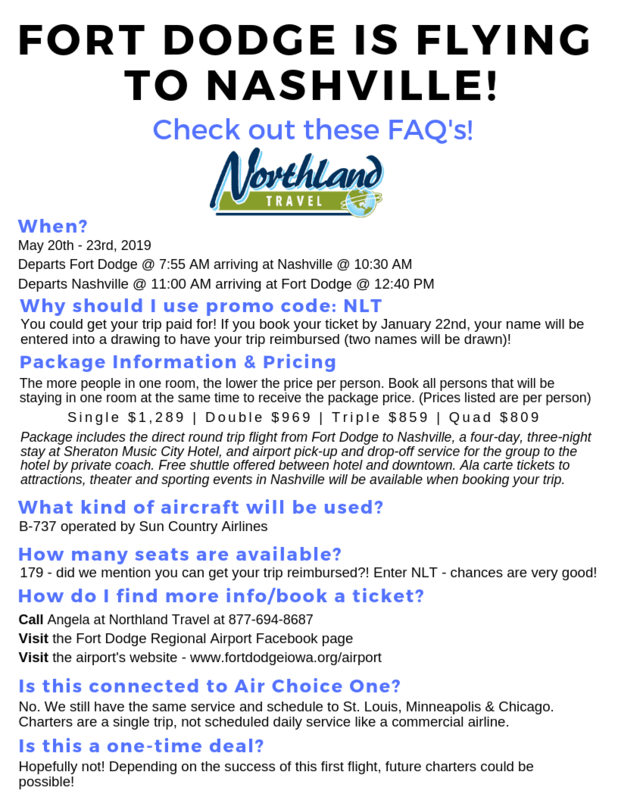 Check out this AWESOME opportunity to fly direct from Fort Dodge to Nashville, May 20-23,2019! To book, click here and use code NLT at checkout for a change to get your trip for FREE! Call Angela at 877-694-8687 with any questions!